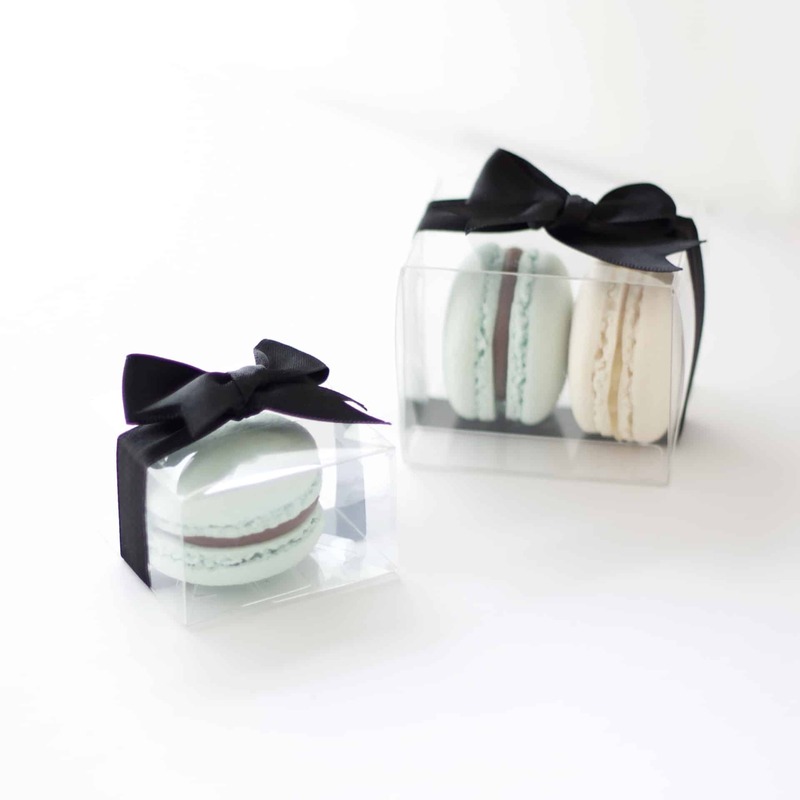 Macaron Gift Boxes – who doesn’t love a gorgeous, traditional French Macaron? 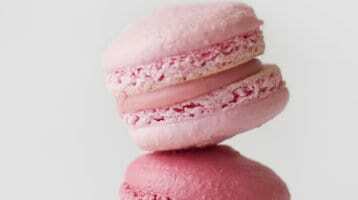 There are so many different choices for colours and flavours – not only do they look so good but they taste delicious too! Which is why they make such a lovely gift to say ‘thank-you’ or ‘happy birthday’ or ‘just because’. 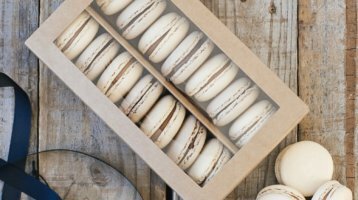 In this article, we give you our ultimate guide to all the different types of French Macaron Gift Hampers and Gift boxes we have to offer here at Coco and Bean. 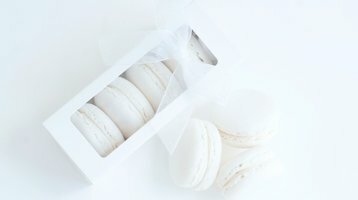 This is a perfect custom macaron gift box for each guest at your wedding or next event or a lovely ‘just because’ gift. 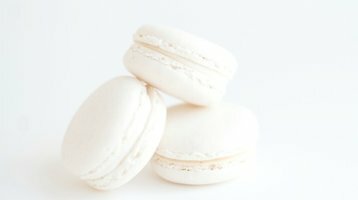 It is packed with two delicious handmade Macarons. 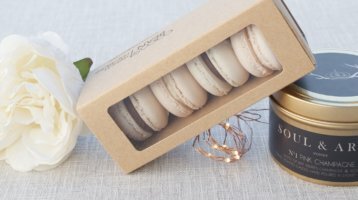 The beautiful thing about these small macaron gifts boxes is that they can be customised by colour and flavour so they perfectly suit your event! Alternatively, why not use them as an excellent value-for-money corporate gift? They can be finished off with branded ribbons showing your company logo. 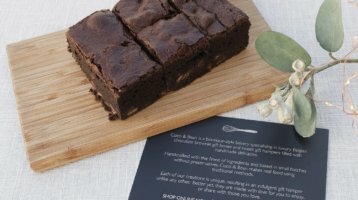 What a perfect way to thank a client over and over again without blowing the budget! 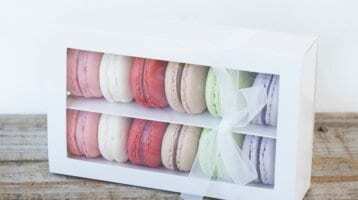 This gluten free macaron gift box contains 12 cherished macarons that are hand-made with love in small batches. 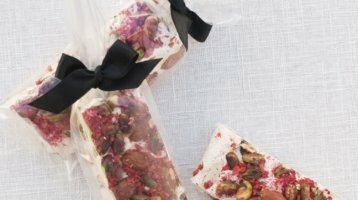 They are made using only the finest, freshest ingredients including premium Australian almond flour and natural, fresh fruit compotes and ganaches. What a lovely way to send some love. 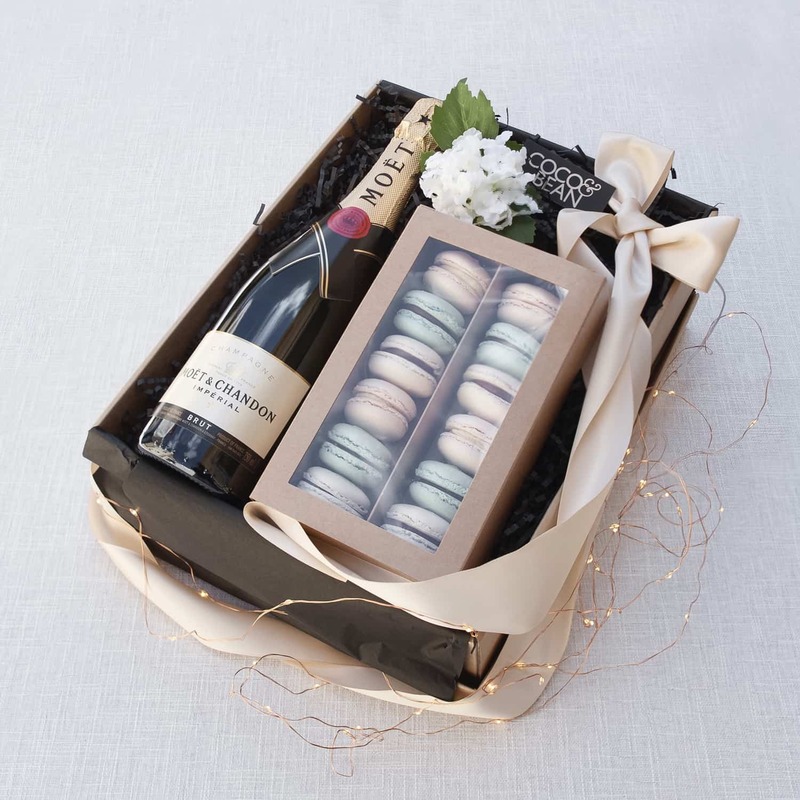 This special occasion hamper is a combination of our popular French macaron 12 pack and a bottle of delicious Moet & Chandon Imperial French champagne. 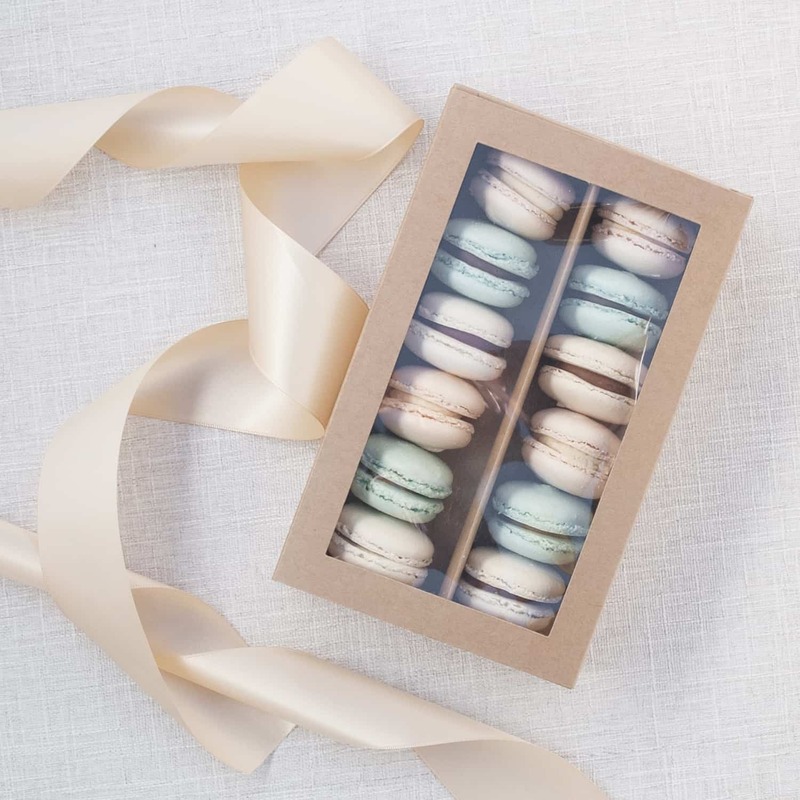 This macaron gift box exudes charm, classiness, and professionalism. 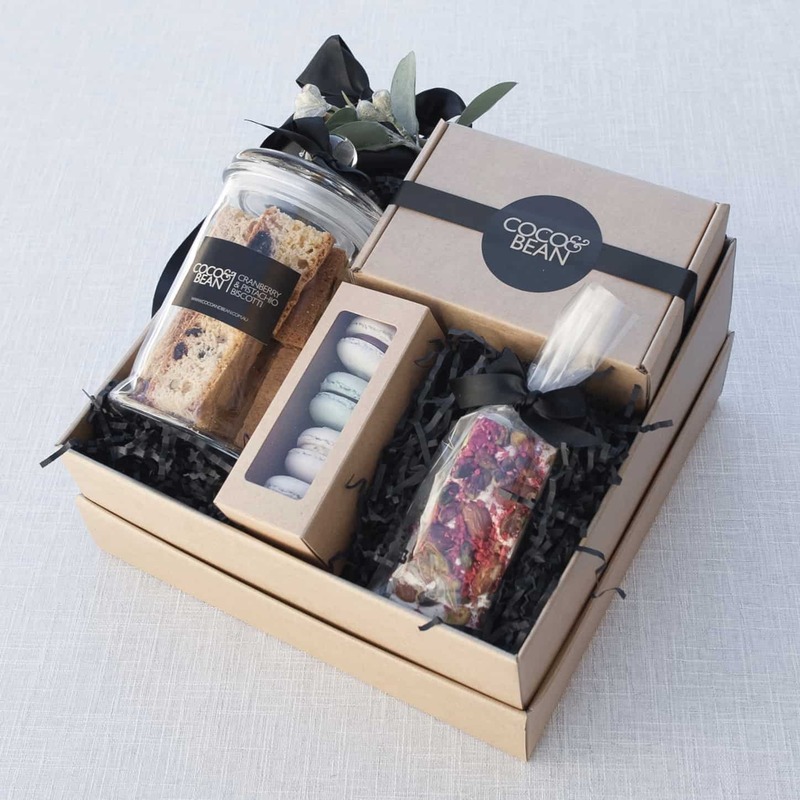 It makes a special ‘thank-you’ gift or is the perfect celebration hamper for anniversaries, birthdays, corporate gifting or ‘just because’. 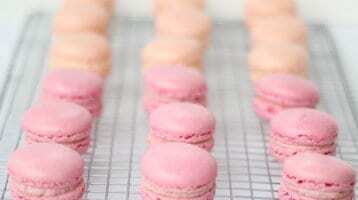 A bottle of champagne always does the magic, and the macarons need to be consumed within 3 days. (oops! 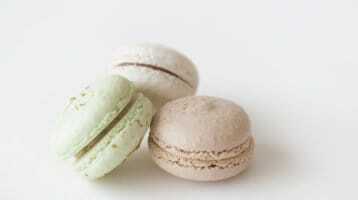 they’re probably going to be gone in one :-)). 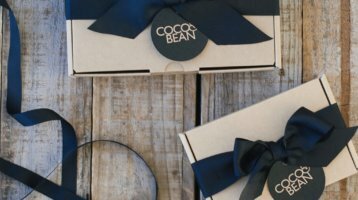 This gift hamper comes packaged in our signature Coco & Bean gift box, tied with a ribbon and includes a personal gift card with your message. 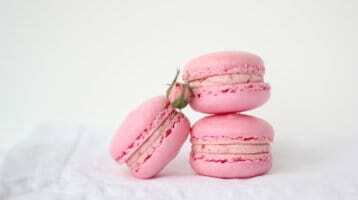 This is a terrific ‘thank-you’ or celebration gift – especially for those with a little sweet tooth! 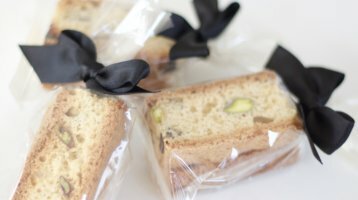 This comes gift packaged in our signature Coco & Bean gift box, tied with a ribbon and includes a personal gift card with your message. 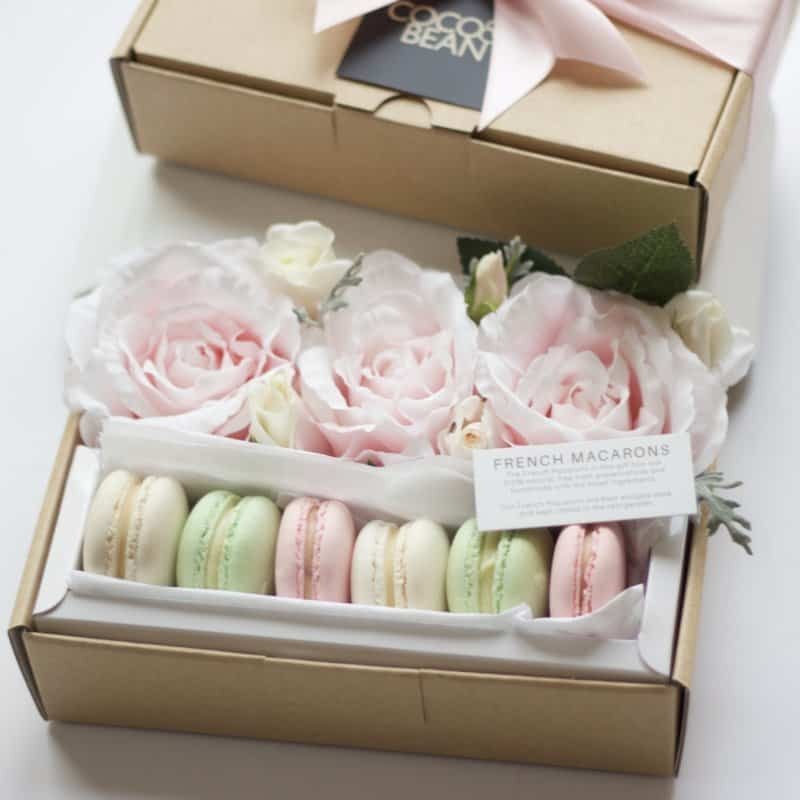 Do you know someone who you’d like to spoil and gift this stunning indulgent gift hamper including French macarons to? 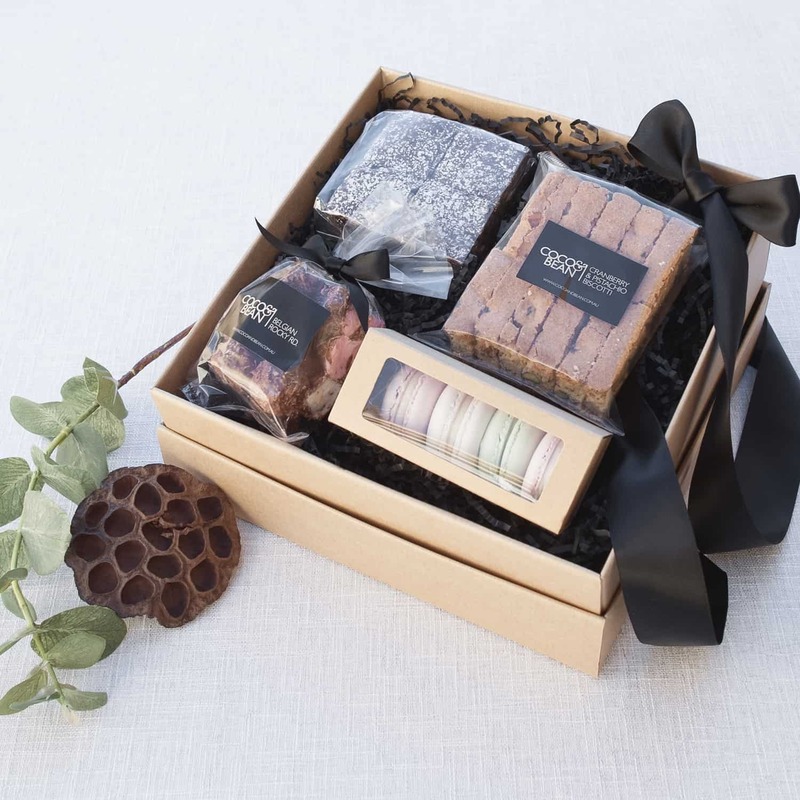 This beautiful hamper contains the perfect pairing for French macarons – Belgian Chocolate Brownies, Cranberry & Pistachio Biscotti, Belgian Rocky Road and Rosewater Pistachio Nougat. 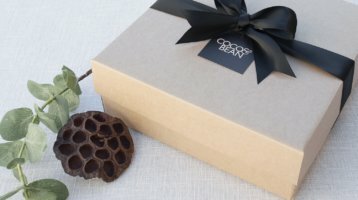 Not only are the contents absolutely delicious and hand-made with love, but the box comes beautifully packaged in a signature Coco and Bean box and ribbon. Everybody will love this and it makes a thoughtful gift you’ll be proud to give.